I operate my Certified Signing Agent and Mobile Notary business full-time. I’ve been a notary for eight years. My coverage includes San Diego, Riverside and Orange Counties. 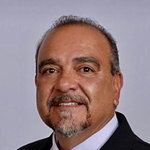 My Signing experience has included: Purchases, Refinances, Home Equity, Reverse Mortgages, VA Loans, Hybrid eClosings, Split Closings and Sales /Purchases. I am Fidelity National Certified. I am fully digital and have remote internet and printing ability. My office equipment includes a MacBook Pro, Brother dual tray high speed laser printer/fax scanner and a mobile printer. My internet is high-speed and my iPhone includes a personal hot spot. I am bi-lingual in Spanish/English. My O&E is $100K. I’ve been background checked. 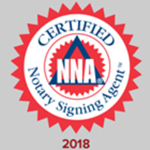 I’ve graduated from Notary2Pro Signing Agent and Reverse Mortgage Programs and NNA Notary Signing Agent Program. I have over 30 years of retail banking experience. I am very thorough, diligent, and dependable. I always provide an Exceptional Customer Experience and I’m always confidential while guarding the client’s privacy. 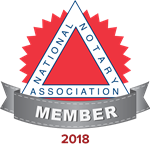 Please reach out to me, as I can represent you and your company with reliable and professional Signing and Notary services. NC. I live and play in the beautiful Southern California city of Oceanside. My wife and I enjoy spending our time with friends and family doing all the amazing actives California has to offer.